At Barlows Primary School we are very proud of the range of awards and achievements that we have gained as a team. Below is information about current Awards and Achievements that the school holds. 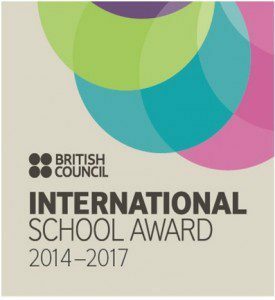 Barlows are delighted to announce that we have been awarded the Intermediate level of the British Council International School Award! To gain this award, the children in the International Schools Committee carried out a number of projects which included; preparing a ‘Culture Box’ to send to our new link school in Buenos Aires, Argentina, Christmas and Easter cards to our link school in Seville, Spain and various Fairtrade activities where the children have learnt about other cultures across the world, raising and donating money to the Fairtrade Foundation Organisation. A future aim for Barlows is to now gain the highest level for the International School Award, which we as a school will be working on over the next year. The Basic Skills Quality Mark is awarded for recognising minimum standards in teaching literacy and numeracy. Attainment of this award is normally based on a close partnership between the Agency, Local Authority and schools. Our school achieved this award in December 2007 and it is renewed every three years. 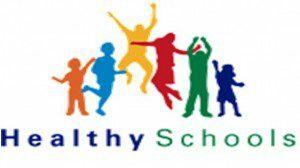 Throughout the school year children at Barlows are involved in a wide variety of activities and initiatives including; fruit and milk schemes; the salad bar; wake up and shake up fitness and NHS visits to promote healthy snacks. Barlows Primary School is committed to Sustainable Development and has therefore opted into the Eco Schools Programme. Eco Schools is an international award programme that guides schools on their sustainable journey, providing a framework to help embed these principles into the heart of school life. The Eco Schools programme promotes learning about sustainable development issues and putting sustainable practices into every day school life through the delivery of nine key environmental topics: 1) Energy 2) Water 3) Waste Minimisation 4) Global Perspective 5) Litter 6) Biodiversity 7) Healthy Living 8) Transport 9) School Grounds. The Eco Schools Award has three levels; Bronze, Silver and Green Flag. Through the work of the Eco Committee in partnership with the whole school, Barlows Primary School achieved Green Flag Status in July 2008, the highest achievable Eco Schools Award. UPDATE – We were awarded Green Flag Status again in July 2015. The dyslexia friendly award is awarded to schools who can demonstrate that they are ‘dyslexia friendly’ in four areas; 1) Leadership and Management, 2) Teaching and Learning, 3) The Classroom Environment, 4) Partnership and Liaison with Parents, Carers, Governors and Concerned Parties. We renewed our Arts Mark Award in May 2012. It is awarded to Primary and Secondary schools who show outstanding contribution to the arts. We are keen to celebrate the children’s work in all areas of the arts – dance, drama, art and music. We are currently working towards the Gold standard award. The Inclusion Charter Mark is awarded to schools that have a welcoming ethos and enable pupils to access every aspect of school life regardless of the barriers that these pupils may face. As well as celebrating the diversity of its pupil population, the inclusive school also gives a warm, supportive welcome to staff, parents and other visiting adults and working partners. There is an atmosphere of respect where everyone is valued and differing views are listened to and taken into consideration in decision making. The inclusive school not only encourages active participation by all of its pupils but is also keen to ensure that every child and young person achieves and makes good progress. Schools that have shown good practice in identifying and, in a variety of ways, attempting to meet the needs of its diverse pupil population, receive the award. They engage in a self review process which is verified by officers from the Inclusion Team in the Raising Achievement branch of Children’s Services. Barlows won a Bronze Bike-It award during our first year as a Bike-It School. We are currently aiming for the Silver award in the next year.To achieve the award Barlows has taken part in lots of Bike-It activities. We run Learn to Cycle lessons for the younger children in Key Stage 1 to help them ride without stabilisers. Children who can already cycle can take part in our Cycle Skills lessons to help them improve their cycling. Children and parents are invited to Bike-It Breakfasts each half term to increase the numbers of children cycling to school and we have a Bike-It Crew who work hard to make sure we are promoting cycling across our school. Barlows After School Club has achieved the Aiming Higher Standard. Aiming Higher is a recognised standard which is higher than that required for registration under the Children Act 1989 and 2004 and Care Standards act 2000. It enables settings to demonstrate that they have reached an approved standard in all aspects of their provision. It also enables parents to be confident that they are choosing a high quality service for their children to attend after school. We were awarded the prestigious Investors in People Gold Award in 2015. This award recognises the quality of the investment in time, resources, care of our stakeholders, professional development and the high level of support given at all levels throughout the school site. In 2012, Barlows achieved the ‘School of Excellence Status’ for Spanish. 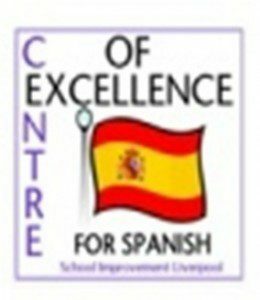 This award was achieved through the children and staff working hard to learn the Spanish language and about different Spanish customs and festivals. Spanish is an important aspect of Barlows’ life and it is completely embedded in our curriculum. We aspire for our children to leave us with an invaluable knowledge of a modern and foreign language and also with a good basis to learn different languages. Barlows was one of 14 schools shortlisted to be a finalist in the National Primary Languages Classroom Award. The Fair Trade mark guarantees a better deal for farmers and workers in the developing world. Having Fair Trade Status provides the opportunity to learn about farming, trade and developing countries, as well as the chance for children to make a real difference by promoting or buying Fair Trade products. Fair Trade is an ideal topic for subjects such as geography, PSHE and citizenship. 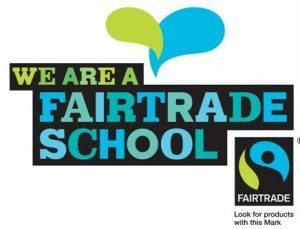 The school has been awarded Liverpool Schools Fair Trade Status and continues to work towards National Fair Trade Status. Barlows is the only school in Liverpool Local Authority to receive this award which recognises excellence and achievement in Philosophical debate and enquiry. 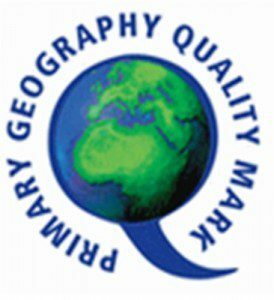 This year Barlows Primary attained the Primary Geography Quality Mark. This award recognises quality and progress in geography leadership, curriculum development, learning and teaching. We are currently holding the Bronze level award and have already begun working towards our Silver.